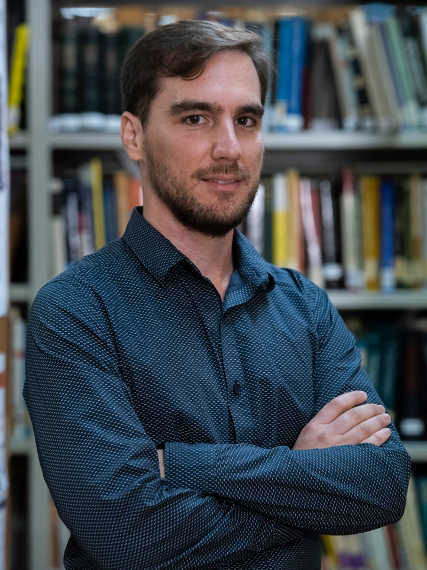 Alejandro González-Tudela, researcher at the Institute of Fundamental Physics and member of QUINFOG, has been awarded the RSEF-BBVA Prize for a Young Researcher in Theoretical Physics. The award recognizes his contributions to the fields of Plasmonics and Quantum Nanophotonics. Alejandro finished his doctorate in 2013 at the Condensed Matter Physics from Universidad Autónoma de Madrid. During his PhD he worked on the theoretical modelization of quantum plasmonics and strongly correlated photons. He then moved to the MPI of Quantum Optics, to work as postdoctoral researcher in the group of Ignacio Cirac. In 2017, our colleague received the NJP Early Career Award, a distinction bestowed on highly promising young investigators by the Editorial Board of the New Journal of Physics, the German Physical Society (DPG) and the Institute of Physics (IOP). In 2018 he joined CSIC as Associate Professor (Científico Titular), where he continues his work on quantum nanophotonics and quantum technologies.